Interesting transfer news are out claiming that Manchester United and Manchester City are in contact with Real Madrid for Angel di Maria. Marca claims that United are thought to have first contacted Real over the Argentina international back in February. However City owner Sheikh Mansour and new chief executive Ferran Soriano have used their close relationship with Real president Florentino Perez to edge ahead of their neighbours. 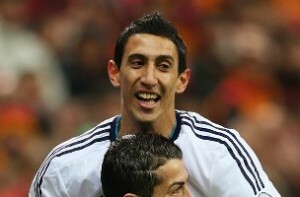 Despite also attracting interest from David Beckham’s PSG, Di Maria is thought to favour a move to the Premier League.